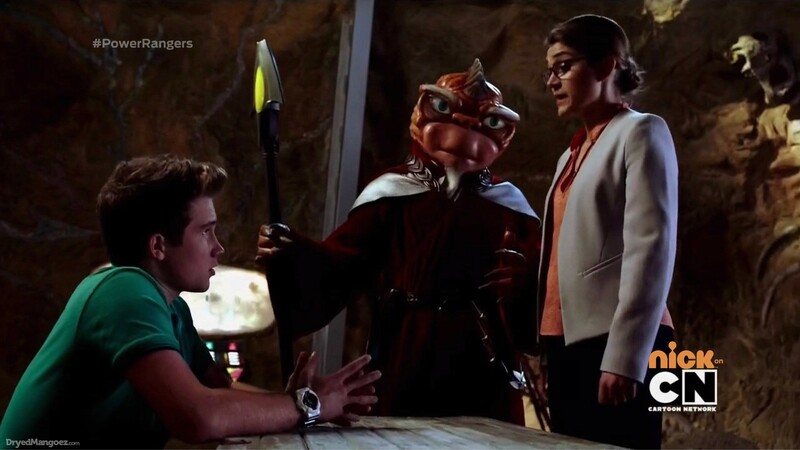 Recap: Power Rangers Dino Charge, Episode 9 – "That would be illogical!" Wrench tries testing out the Ptera Charger, but it’s dead. Poisandra laughs at Fury’s failure as he walks into the bridge. Sledge wants to know why he took the Energem Tracker and allowed it to be destroyed. Fury says he knows the location of the Pterazord and can recharge the Ptera Charger to use it. Wrench says he needs the Gold Energem to do so. But Sledge has had enough of Fury and orders him off his ship. Later, Fury interrupts Wrench and Puzzler’s game of space chess to get them to help him. While back at the command cave Riley gets the others to think logically, Fury, Wrench and Puzzler are at Flynn’s now-abandoned Scottish school-turned-an abandoned lab. Fury orders Wrench to use old medical equipment to charge up the Charger. Meanwhile, Puzzler is very annoyed by the amateur kids playing on the huge, random chess board outside. He yells at them which scares them off. The kids bump into Chase and knock over the pizzas he was bringing back to the command cave. Chase fights Puzzler until the others arrive. They head inside the building and split up to look for him. But Puzzler turns the whole building into a huge, freezing maze. Tyler and Shelby go in circles, Chase almost falls out the building and Koda wants a cookie. When Riley sees this could be some sort of maze, he gets an idea. He calls the others, but the signal is interrupted when Wrench fires up the machine to charge up the Charger. Riley hops into the vents and crawls his way through until he comes across Wrench and Fury. He sees the blob trying to emerge from Fury who is struggling. He rips the cables from him, but Wrench says the Charger is full. Riley makes his way up to the roof where Puzzler is lounging about. Fury appears and Riley sees he has the Ptera Charger. Kendall calls Riley and tells him the logical priority is to take on Fury and retrieve the Charger first. But Riley wants to save his friends first. He confronts Puzzler who proposes they play some space chess. If Riley wins, his friends are free. If he loses, Puzzler takes his Energem. While playing, Riley uses his head computer to calculate before tossing his marbles into the vents. Each of the four marbles lands exactly next to the others who are clued in to escape through the vents. They surprise Puzzler, morph and roll call. Meanwhile, Fury has arrived at the coordinates from the e-Tracer. He tosses the Ptera Charger into the volcano and the Pterazord flies out. The Rangers take care of the Vivix, but Koda is still hungry. Tyler lends him his T-Rex Charger and Koda fires at Puzzler to finish off his first life. Suddenly the Pterazord comes storming in, literally. The Rangers assume Fury has taken control of it and have no choice but to fight it. They hop into the ParaRaptor Formation of the Megazord. Sledge decides to take advantage of Fury’s success by embiggening Puzzler. The Rangers quickly send a fireball toward Puzzler which hurls him toward the Pterazord. The Pterazord blasts Puzzler before ejecting the Charger and flying away. Fury catches the Charger and vows to charge it back up and return to finish the job. Sledge welcomes Fury back with open arms, much to Poisandra’s annoyance. Back at the command cave, Riley is frustrated that he wasn’t able to get the Ptera Charger when he had the chance. But Keeper and Kendall tell him while going after Fury was the logical decision, it wasn’t necessarily the “best” decision. Koda and Chase are definitely happy Riley made the illogical decision. Tyler and Shelby arrive with pizza. But Tyler asks Riley what else is up. Riley explains how he also saw the glowing blob coming out of Fury. He believes Fury was draining the blob of its energy. Tyler says they must free or stop the blob before Fury can use it against them. 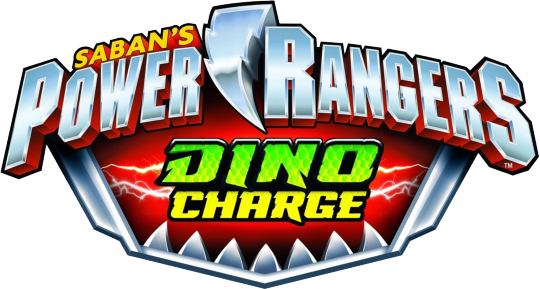 Good to finally have Dino Charge back. I thought this was an okay episode. I do love all the obviously original NZ footage. It all looked great. The Rangers being trapped in a maze AND getting frozen was also fun and made for a good 2/3 of the episode. The maze running was fun. The transition into the Pterazord and megazord section of the episode though wasn’t too smooth and really felt tacked on. While the first 2/3 of the episode felt like a fun adventure-type of story, the rest of the episode felt very disconnected. Especially with the closing scene of Riley and Tyler talking about the glowing blob inside Fury. I think even just one extra scene with Fury could’ve made the episode flow a little better. It’s also amusing that an episode about logic felt so illogical. lol Riley’s head computer made him seem like a kid genius (even more than the always awesome Rose Ortiz) with magical powers. What kind of calculations could’ve directed those marbles to fall right next to the Rangers when he didn’t even know where in the building each of them was? Now that’s illogical! Hehe. But again, the strength of Dino Charge’s creativity, visuals and strong cast help one overlook those holes. Something that absolutely couldn’t be done with Samurai and especially Megaforce. How different was Dino Charge from Zyuden Sentai Kyoryuger? Completely different episode. First off, the Kyoryuger episode was a Nobu-focus. But the plot was completely different. Dino Charge‘s episode was much simpler and basic (not in a bad way) compared to Kyoryuger which dealt mostly with Nobuharu’s backstory with his sister and niece. They talked about dead people and the guilt of the living. Heavy stuff. Kokododko was also much more sinister and evil than Puzzler who was maybe more mischievous and a little more fun and goofy. Kyoryuger‘s episode helped fill in Nobu’s character. 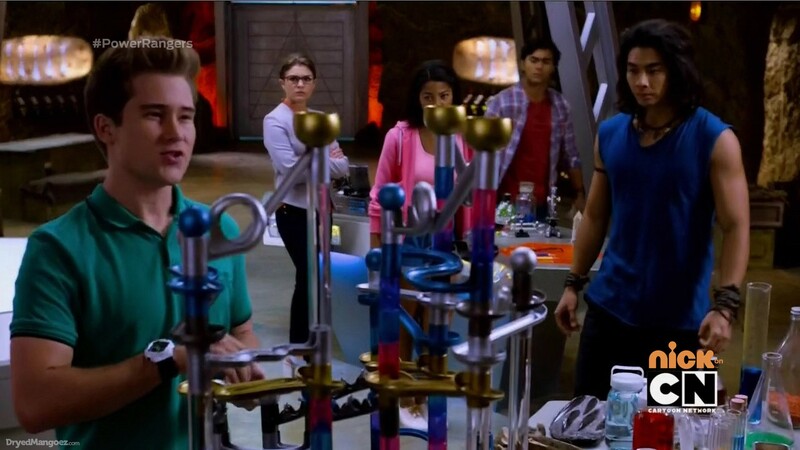 Dino Charge maybe tried doing the same for Riley, but not really. 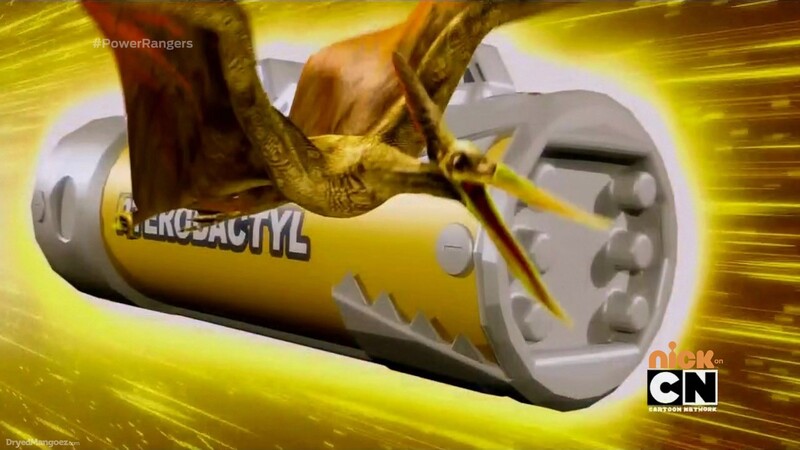 This Kyoryuger episode, however, didn’t do any better in introducing the Pterazord/Ptera Gordon. It was basically Torin talking to the sky for half the episode and Ptera Gordon just popping up at the end. In that sense, Dino Charge at least built up to Fury actively working to find and take control of the Pterazord even if the transition at the end felt a little off. Overall, they were different episodes which did their respective jobs well. Celebrate Power Rangers‘ 20th Anniversary on DVD! 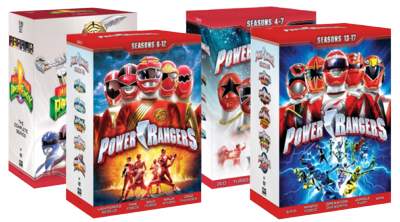 The first 18 seasons, from Mighty Morphin to RPM on four complete DVD sets! Also, check out the brand new Power Rangers Dino Charge store, also at Amazon! Man, it’s been a long time since I last wrote here. I’ve seen many people saying that this has been the weakest episode of this season so far. Maybe, but at least the story and the Fury subplot was good enough to keep watching. All thanks to Mr. Lynn’s writing, of course. 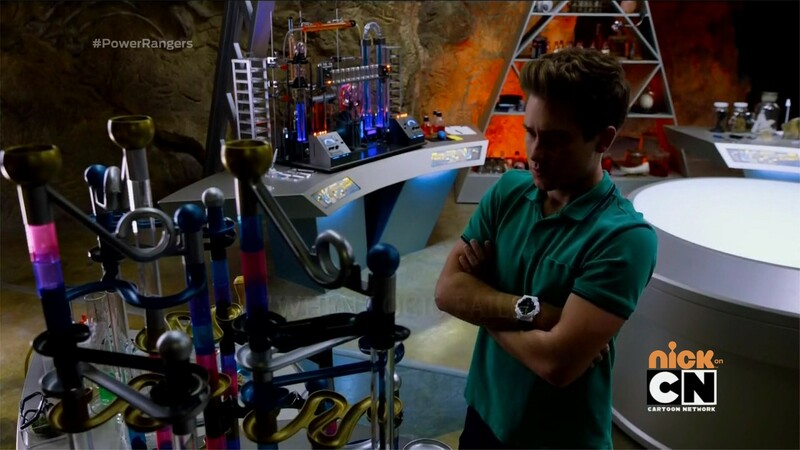 Welcome back, Dino Charge! You were definitely missed! I agree this was probably the weakest episode thus far, but like you said, because the other elements in this season work so well, the bad parts aren’t as noticeable. 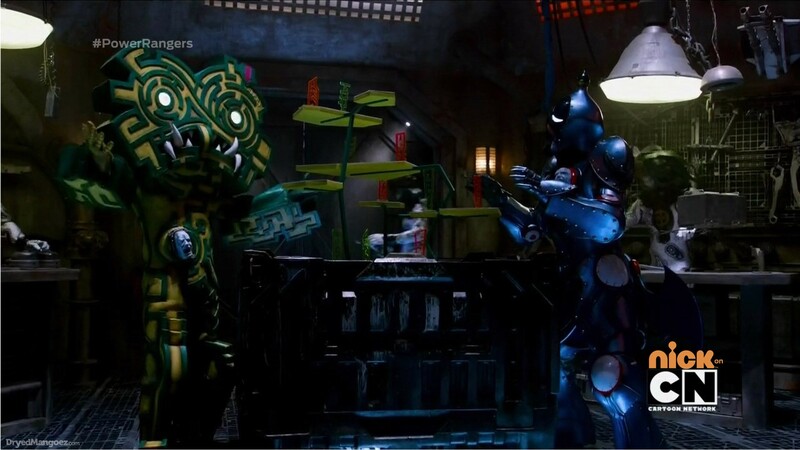 If this episode was in Samurai or Megaforce, it would have been far more obvious. Probably just another typical, boring episode in those seasons. But here, it works better. Hopefully next week’s episode will be better. I heard Chip Lynn say they’re doing things this season that Power Rangers has never done before. I hope it’s good, but this is coming from Chip Lynn, so I will trust what he says. I just hope the higher-ups at Saban didn’t mess anything up or anything like that. I thought Puzzler was a unique kind of monster, even if he was a little goofy and all. His ability to trap the rangers in an endless loop of a maze is pretty creative and they played that out pretty well. I don’t think I’ve seen that in Power Rangers before (I could be wrong, though). P.S. 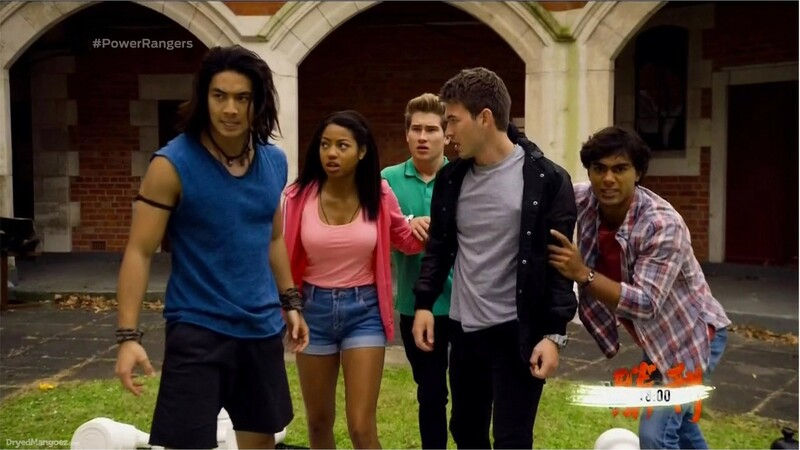 Can you imagine if this type of episode was in Megaforce and Noah was in Riley’s place and was debating whether to go after Fury or Puzzler? And then Gosei calls? I wonder what Gosei would tell him? Probably something unhelpful, I imagine. What do you think? Scratch that last part, I think Noah would’ve done the same thing as Riley and just ignored Gosei and freed his friends. The title of this episode (which I’m not going to refer under any circumstances), pretty sums up Nick’s schedule, hiatus, international airings, etc. I’m digressing too much am I? I haven’t even discussed about episode yet! Hopefully, the episode makes up for my frustration. This episode focused on Riley, which was a nice way to start after hiatus. I like how his intelligence and wisdom helped him escape from the maze and saved the rangers! I also liked how he used marble/maze to analyze how each villain (Sledge, Poisandra, and Fury) takes different pass, but ultimately lead to same goal. Clever. It was also interesting that Riley had such a good aim; that’s one heck of the talent! I really like how Puzzler set up the maze on building. Not only you go in endless loop, but you can also get freeze, which I thought it was clever. BTW, I really liked the chess that Puzzler/Bounty Hunter used. I lol’d at Koda and vending machine. He could have easily broken the glasses; although, that would make it a bad lesson for kids. I also like the subplot of Fury. Far more interesting than how it was handled in Kyoryuger for Dogold. It was also nice that Pteranodon…. I mean Pteradactyl Zord was introduced in this episode. Conversation between Riley and Keeper at the end was very nice. Keeper is such an awesome mentor; he puts Torin to shame. Torin would have been like “That was a BRAVE move” and snap his finger (LAAAAME!!). Overall, while this episode wasn’t very strong, it was very good. 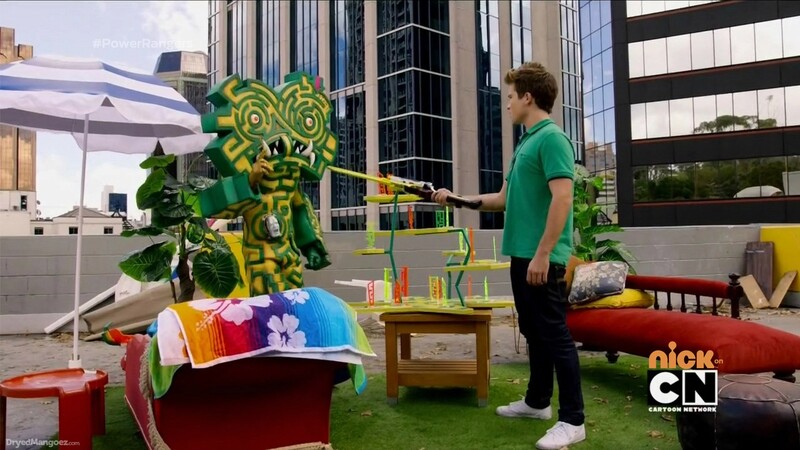 Not a best come back, but it’s nice to see Dino Charge is back in action! I would have preferred this episode (along with next (10)) to air before hiatus; but I will discuss more on that later. It’s really DAMN GLAD to see Dino Charge and review again. This was definitely a nice little character episode for both Riley and Koda.